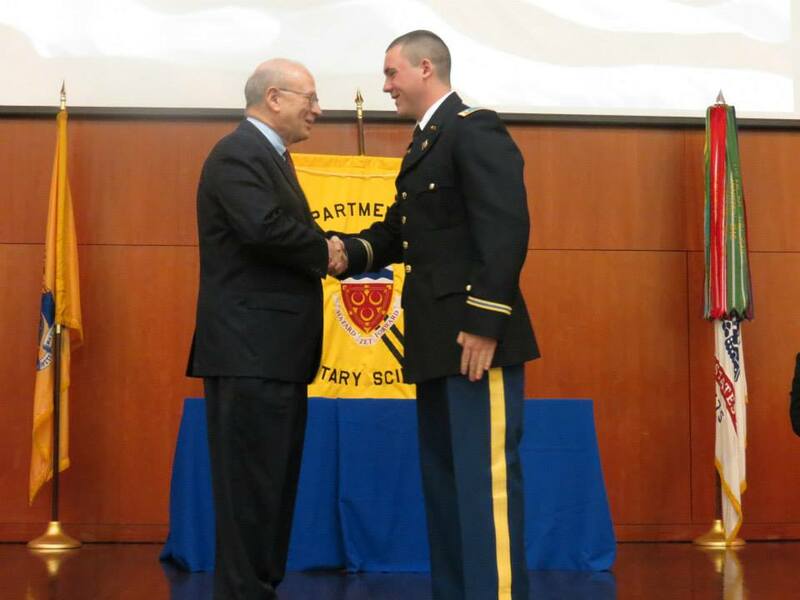 Two Phi Kappa Theta Brothers from the New Jersey Phi Beta Chapter of Seton Hall University participated in the US Army’s honored "Silver Dollar Salute” tradition at a May 16th ceremony marking the commissioning of 15 Army ROTC cadets as officers. 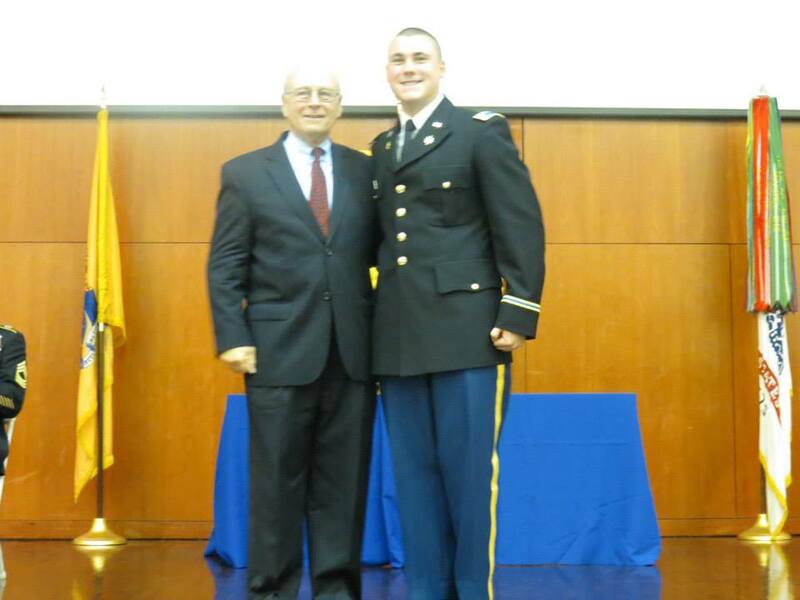 2nd Lieutenant Brian W. Giles (Seton Hall, ’14) received his first salute from Nicholas R. Scalera (Seton Hall, ’63), a former Sergeant E-5 in the US Army National Guard. In return, brother Giles handed a shiny silver dollar to brother Scalera, the first enlisted non-commissioned officer (NCO) to salute him. The ceremony represents the symbolic receipt of respect due the new officer and signifies his deep sense of gratitude for the knowledge that enlisted soldiers, especially NCOs, have passed on to them during training. Brother Giles graduated with a BS in Diplomacy and International Relations and has been assigned to military duty at Fort Dix, NJ. 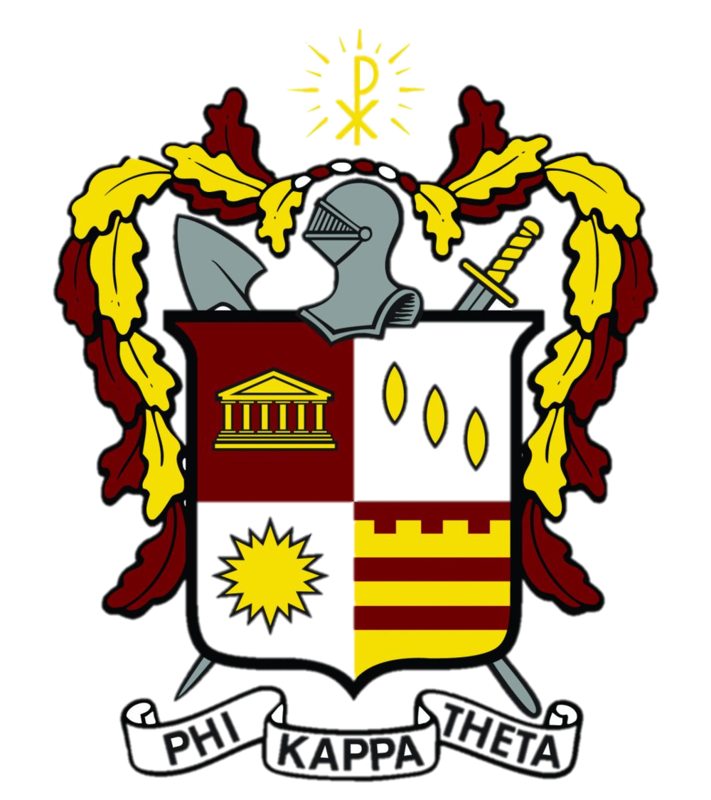 Brother Scalera is a member of the PKT National Board of Trustees and a board-member of the Phi Kappa Theta Alumni Association of Seton Hall University.